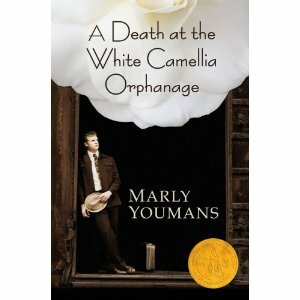 "A Death at the White Camellia Orphanage" tells of a young boy's travels through the black heart of Depression America and his search for light both metaphorical and real. Writing with a controlled lyrical passion, Marly Youmans has crafted the finest, and the truest period novel I’ve read in years. UK novelist Clare Dudman has contributed another piece to the launch interview, and you may find it at Keeper of the Snails. If you have kept company with me here for a while, you may remember that poet Dave Bonta and I met up with Clare at Powys Castle in Wales, back in May of last year. Two more launch announcement pieces are: poet Katie Hoerth's post at Katie's Blog; poet Robbi Nester's post at Shadow Knows. Please pop down to the next post for a rather different celebration of the day! Thanks Marly, though all I did was post a link to the chapter and a few reviewers' blurbs. I look forward to reading the book myself, so I can make informed comments on it.